Merapi Full Trekking is very recommended tour package to visit Merapi organized from Jogjakarta to climb up to the top of Merapi offers the experiences on the top of Merapi (2960 meters above sea level) to enjoy a dramatic sunrise the one of the very active volcano in Java, and see panoramic view around of Java Island. 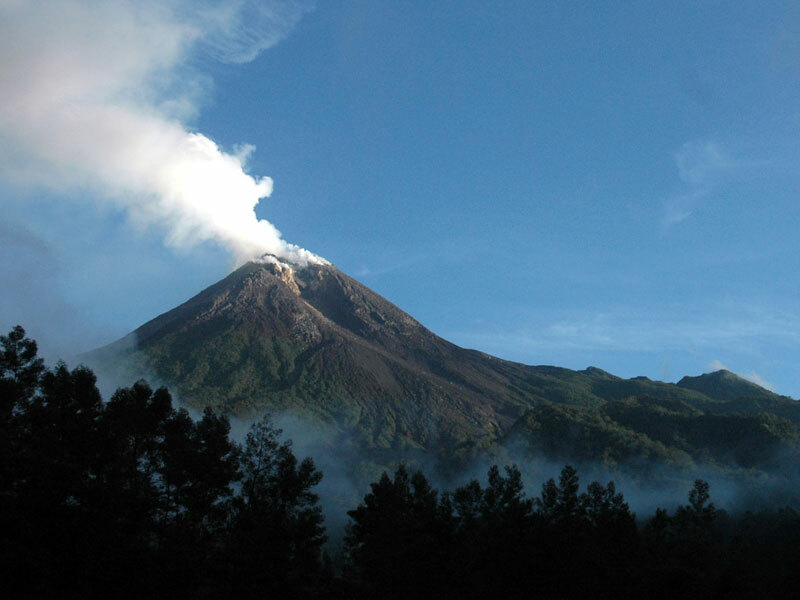 Day 1 Pick up and depart from your hotel in Yogyakarta/Jogja at 10.00 PM, start to reach Selo, a village on the northern side of Merapi where a start point of your trekking are, after driving 2 hours, we arrive at this village at 24.00 . Meeting service with local guide to climbing preparation. This entry was posted in merapi tour and tagged merapi tour, merapi tour from jogjakarta, merapi trekking tour, trekking tour. Bookmark the permalink.